ALOHA!! The Hawaii Ski Club, a year-round, volunteer-run, non-profit, social organization with over 100 members, has been organizing winter trips for skiers, and now snowboarders, since 1952. 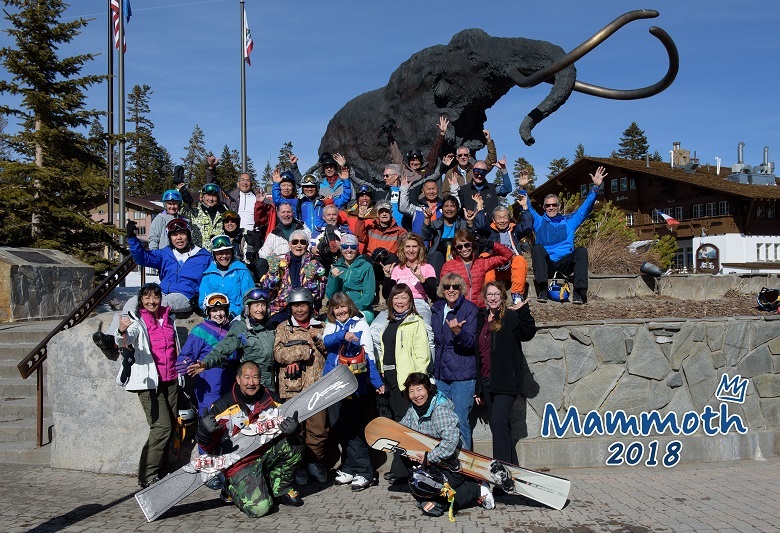 While trips are normally to top rated U.S. and Canadian destinations, the Club has also travelled to Japan and Europe and has even gone “summer” skiing in New Zealand. While waiting for snow, the club offers monthly activities such as weekly tennis, hikes, bicycle rides, sea kayaking, Pau Hanas, group gatherings at athletic events and concerts, food-oriented events like chili cook-offs, holiday celebrations, and volunteering at recurring as well as special events. Click on the Newsletter link, to the left, to find a current schedule of activities. Click on “Sign Up,” to the left, for our Membership form.